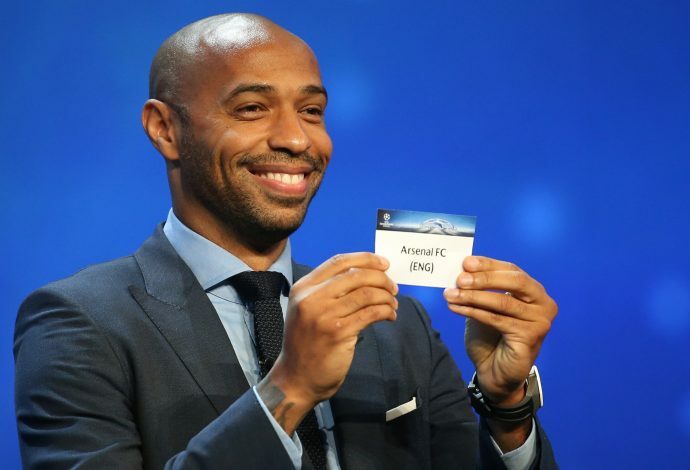 Arsenal’s reward for topping their Champions League group is a last 16 clash with German champions Bayern Munich, while Europa League last 32 draw witnessed Manchester United draw St Etienne. Pep Guardiola’s Manchester City, who finished second in their group behind Barcelona, were handed a draw against French side Monaco. Leicester, in their first Champions League season, will be up against Sevilla. Real Madrid will play Napoli. Meanwhile, Representatives from Manchester United and Tottenham assembled in Switzerland today to know their fate regarding who they would be facing in the next round of the Europa League. Manchester United were drawn against French side St-Etienne, which happens to be the club that Paul Pogba’s brother Florentin plays for. It’ll be Pog-on-Pog action! As for Tottenham, they were handed a tie against Belgian club KAA Gent. Neither of the English boys look like winning the league at the moment, and they’re not in the top four either, so this tournament could be their best chance of qualifying for the Champions League. The first legs will be played on February 16, with the return legs on February 23.